Dr. Cirincione is a therapist and former postdoctoral clinical researcher at Langley Porter Psychiatric Institute at the University of California, San Francisco. Dr. Cirincione is an internationally known lecturer and author as well as an entrepreneur with 30 years business experience in the corporate world, including with her own four companies. She is co-founder with Barbara Marx Hubbard of “The Regenopause Dialogues,” about revaluing and redefining the stages of women’s lives. Dr. Cirincione serves as Vice-President of the Jampolsky Outreach Foundation, a non-profit foundation responding to worldwide requests to introduce and mentor culturally appropriate adaptations of Attitudinal Healing, to integrate this innovative, time tested psycho-social-spiritual model into every aspect of daily life. From 1982-1992, working on Dr. Jerry Jampolsky’s project, “Children As Teachers of Peace,” Dr. Cirincione inspired individuals from numerous countries to bridge the gap among youth from various countries, including Russia, China, and Central America. 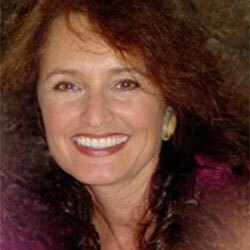 She is author of Sounds of the Morning Sun and “The Identification of Relationships Between Women Witnessing Spousal Abuse in Childhood and Psychological Symptomatic Distress in Adulthood.” She is co-author with her husband, Dr. Jampolsky, of Love Is The Answer; Wake-Up Calls; Change Your Mind, Change Your Life; Simple Thoughts That Can Change Your Life; and for children, Me First and the Gimme Gimmes.